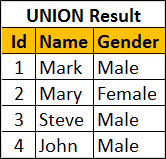 In this video we will discuss the difference between union intersect and except in sql server with examples. UNION operator returns all the unique rows from both the left and the right query. UNION ALL included the duplicates as well. INTERSECT operator retrieves the common unique rows from both the left and the right query. 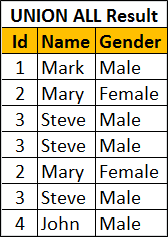 EXCEPT operator returns unique rows from the left query that aren’t in the right query’s results. Let us understand these differences with examples. We will use the following 2 tables for the examples. UNION operator returns all the unique rows from both the queries. Notice the duplicates are removed. UNION ALL operator returns all the rows from both the queries, including the duplicates. 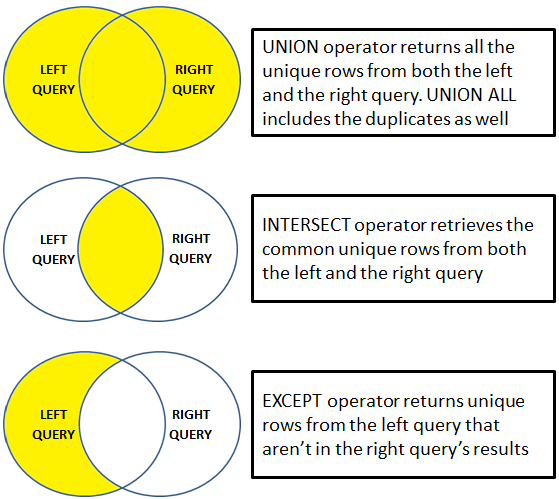 INTERSECT operator retrieves the common unique rows from both the left and the right query. Notice the duplicates are removed. 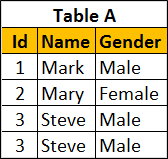 If you wnat the rows that are present in Table B but not in Table A, reverse the queries.